At its own press event ahead of Mobile World Congress, HTC has announced its initiative to both offer the apex of its expertise in device design and an effort to actively reduce the number of handsets it releases while simultaneously reducing confusion by adopting a standard naming convention across regions. This is meant to address the long-standing complaint that many HTC customers have had until now, in the fact that carriers would not always keep HTC’s naming conventions for devices, despite the devices being functionally identical and instead adopting a more marketing-focused brand which did little more than confuse prospective buyers. Enter HTC One. The HTC One series is both an initiative to reduce the volume of handsets released in a calendar year by HTC with the goal to focus on at the most three flagship models. 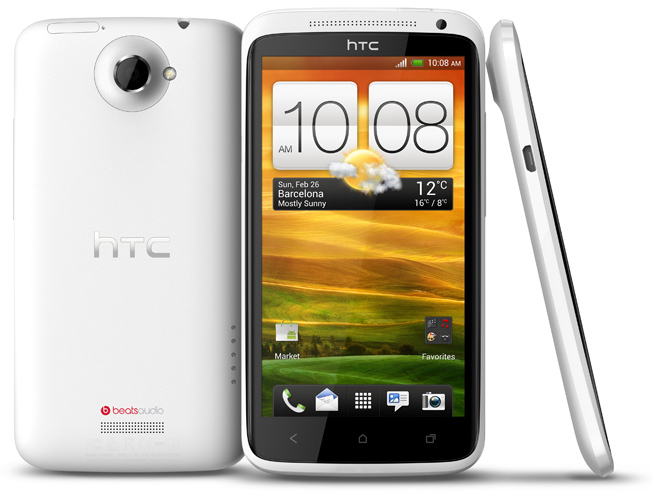 The first three models being released in the new series include the HTC One X, One S and OneV. The three models represent the high-end, mid-range and low-end hardware spectrum respectively, but the hardware selection is such that it represents the best hardware available in each respective range taking into account actual development and component costs for each range. The One series will also break from the myriad naming conventions for each carrier variant of a flagship HTC device by having all 180 operators enter into a new agreement with HTC in order to carry the new devices that requires every carrier to keep HTC’s One naming convention and main specifications across regions in order to reduce confusion in regards to which phone is the flagship high-end model and which one is the low-end flagship model. The new agreement also includes a new joint advertising agreement whereby carriers will also agree to work with HTC on a unified advertising campaign for each model regardless of region. Now, onto the phones. Starting with the HTC One X, the high-end flagship for the year will feature Android 4.0 with HTC’s updated Sense 4.0 overlay and is powered by the Nvidia Tegra 3 quad-core processor outside of the US, with each core running at 1.5GHz and also features a 4.7-inch LCD display at 1280 x 720 resolution, a Corning Gorilla Glass front and an 80-degree viewing angle. The main camera on the One X is an 8-megapixel unit and is powered by a separate dedicated “ImageChip” DSP to boost shutter reaction speed, reduce noise, remove color bias, and improve overall picture quality while featuring an F/2.0 aperture lens with back-side illumination for much improved low-light performance, a five-element LED flash, autofocus, and a burst rate of up to one picture per 0.7 seconds. The One X captures video at 1080p, slow-motion video capture capability, and has a feature called Video Pic, which lets users capture still images while recording video, much like similar features found on high-end compact system cameras and high-end DSLRs. The One X now supports Beats Audio across all music apps because of a new extension of the Beats Audio software DSP/API into the operating system, a new HTC-designed music app and media transfer app, and microUSB/MHL-compatible out for sharing media without a dock needed. The One X will support AT&T’s LTE 4G network in the US as it will be a carrier exclusive, but it will be powered by the much less powerful Qualcomm S4 processor in order to support LTE, as the Tegra 3 does not currently support LTE baseband chipsets. It will launch by the end of April, keeping to commitments of launching within 60 days from the first announcement but pricing was not immediately disclosed by either AT&T or HTC. 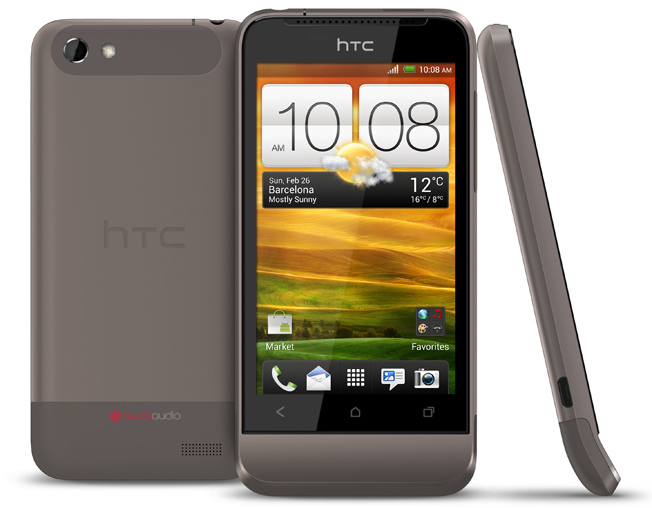 Following on with the HTC One S, the mid-range flagship will be offered by T-Mobile in the same general timeframe as AT&T’s One X and features many of the same key features as the One X, such as Android 4.0 / Sense 4.0, Beats Audio integration, 8-megapixel camera with an aperture F/2.0 lens for better low-light performance, a five-element LED flash, autofocus, and features a burst rate as quickly as one every 0.7 seconds. Like the One X, the One S captures video at 1080p and users can capture still images while recording video without disturbing the video capture process via the VideoPic functionality. The One S also features a metallic shell that has been coated with a soft-touch plasma overlay for improved ergonomics. Key differences between the One X and One S include support for T-Mobile’s 42Mbps HSPA+ network, a smaller 4.3-inch Super AMOLED display at qHD (960 x 540) resolution and a dual-core 1.5GHz version of Qualcomm’s Snapdragon S4 processor. 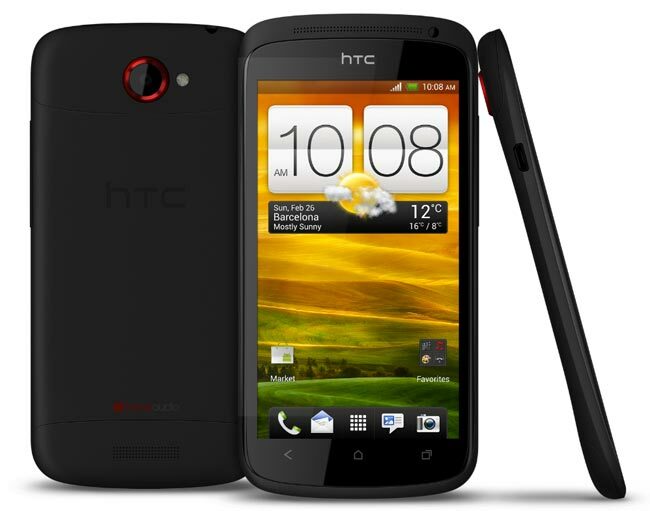 Pricing has yet to be confirmed by either HTC or T-Mobile and this version will be exclusive to the carrier. To close out, the last model in the new HTC One series is the “low-end” HTC One V, which will be offered by multiple US carriers in the same late April timeframe, as HTC has confirmed that Metro PCS, U.S. Cellular, and Virgin Mobile will offer the phone. Like the One X and One S, the One V will feature Android 4.0 / Sense 4.0, Beats Audio integration, a dual-core Qualcomm S2 Snapdragon processor, 5.0 megapixel main camera and can also capture still images while recording video without disturbing the video capture process via the previously mentioned Video Pic functionality, and a 3.7-inch display at 480 x 800 resolution along with Wi-Fi, Bluetooth and aGPS radios and support for microSD cards. In an interesting design choice which harkens back to its transitional design language shortly after its relaunch as a dedicated manufacturer, the One V will feature the distinctive “chin” which was found on many of its first and second generation Android smartphones. Pricing for the One V was not disclosed by HTC, but is expected soon.